So, I stopped reading books on writing and just started reading books I loved: Grimm’s Fairy Tales, Edgar Allen Poe, Harry Potter, Hans Christian Anderson, and so many others. I happily read a lot of books—good, I thought, know I can start writing. Nope. Even though I looked at the world through fantasy colored glasses, I had a terrible fear of ineptitude. I was the student who couldn’t spell, never learned phonics, didn’t know a consonant from a vowel, and a homonym is what? Regardless, I managed to get a Bachelor’s, a Master’s, and even a PhD. I was a competent mimic. 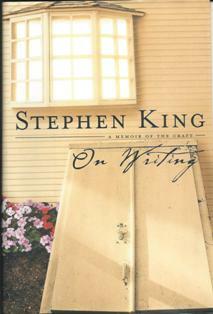 So, what did Stephen King teach me? Stephen King taught me how to trust my instincts when he wrote, “stories are found things, like fossils in the ground.” “Stories”, writes King, “are relics, part of an undiscovered pre-existing world.” Stephen taught me to lean heavily on my intuition, my inner sense of things without the mimicking and sense of ineptitude. Well, that’s great I thought, because I walk through this world wearing fantasy colored glasses where every nook and cranny is rich with fantastical possibilities—like magical stones, talking trees, whispering air, mumbling water, and things, like humans, who walk the earth.